Marine Knots comes with a convenient practice rope to help you perfect each knot and a handy plastic waterproof binding so you can stash it on board without worrying about the weather-or a rogue wave. The spiral binding allows the book to stay open for easy practice whether you're out on a lake, at sea, or in the backyard or living room. 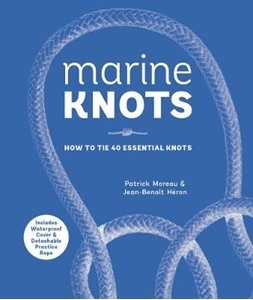 For everyone who loves spending time on the water, Marine Knots is a reliable, portable, and invaluable guide-and the perfect accessory for popular water activities.